One of my favorite things ever is Hibachi. I love the whole experience - the ginger dressing that I just want to put on everything, the funny chef's squirting saki at you, the onion volcano…even that familiar puffy, wanting to die after eating so much sodium and so many carbs feeling. Jokes aside, one thing I truly love about the standard Hibachi menu is the clear soup. It's full of that ultra savory umami flavor, with a subtle crunch of crispy onions. Given the arctic temperatures we're experiencing here in Wilmington, I thought i'd try my hand at making an at-home version (and save myself the calorie overload of the full hibachi meal). The results were absolutely delicious, and surprisingly super healthy. This is a soup that is incredibly simple to prepare. 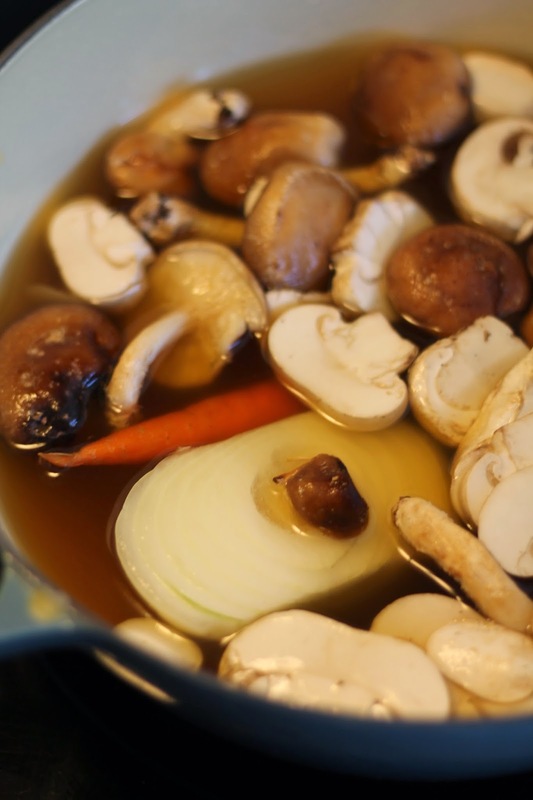 Essentially, we're just taking chicken and beef stock, then increasing the savoriness and almost turning it into a mushroom stock by simmering it with vegetables and mushrooms. I'm serving mine for dinner with Chicken Shumai and Asian Salad. Yum! Combine all ingredients in a pot and bring to a boil. Reduce heat to low and simmer for 1 hour. Strain off all of the vegetables. 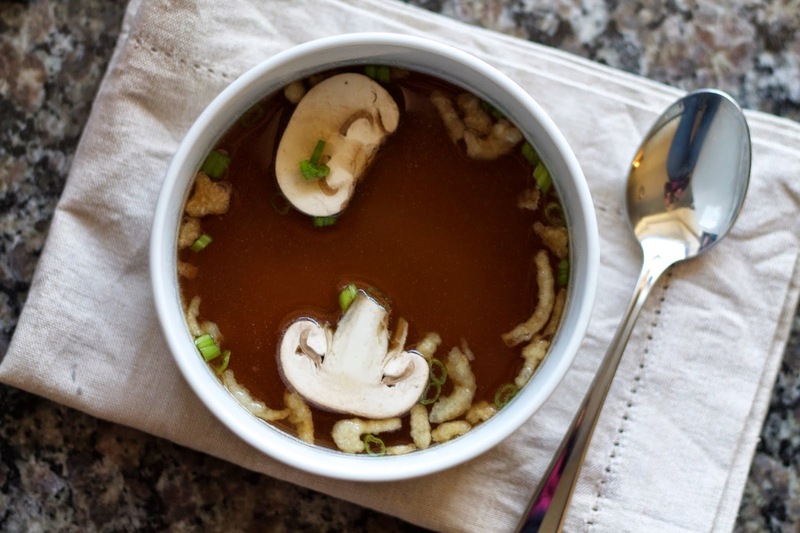 Serve broth with garnishes above. Enjoy! *I like to use regular stocks, but you could also use low sodium versions of each and season to your preference. **If you can't find shiitakes, substitute another variety of mushroom.